When most people think of Microsoft Excel, their minds likely turn to spreadsheets and dull charts. Or perhaps they think back on those dreadful hours spent crafting presentations for an underwhelmed boss. But, Excel is used for much more than these boring applications, and it’s becoming an increasingly important and powerful tool as the world relies more and more on gathering and analyzing massive sets of complex data. 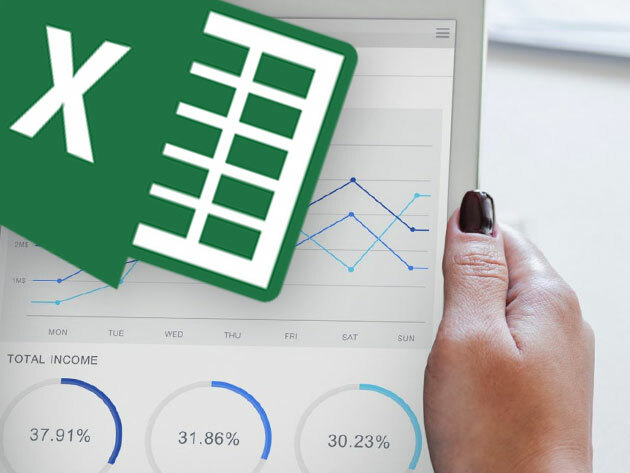 The Excel Data Analyst Certification School will teach you how to make the most of this incredibly valuable program, and a lifetime membership is currently available for over 95% off at just $49. Whether you’re trying to work independently or for a major data-hungry company like Google, this training will teach you everything from the fundamental elements of this powerful program to its most advanced tricks and tools. You’ll learn how to gain important insights from complex data sets—all through instruction that utilizes real-word examples and hands-on exercises so you don’t get lost along the way. You’ll even earn an accredited certification after you complete your training. Learn how to succeed in an increasingly data-driven world with a lifetime membership to the Excel Data Analyst Certification School for just $49—over 95% off its usual price for a limited time.